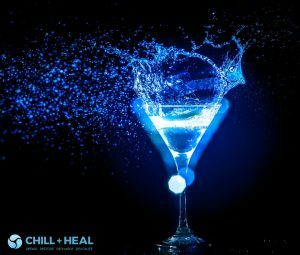 Shreveport Cryotherapy Spa – Private Parties! 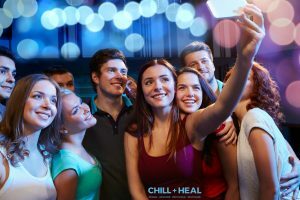 Chill + Heal, your premiere Shreveport Cryotherapy Spa, is now offering private parties for you and your closest friends. Gather up your favorite friends and bring them over to a closed doors, private party JUST for you. Whether you are wanting to try something new with a group of friends, do a team building exercise, host a birthday party, watch the big game, or even recover after a tough mud run, marathon, or WOD, we’ve got you covered! A Cryo Party is a great way to cool off and recover with your favorite people. Gather a group of 8 or more and we will take care of the rest, complete with your chosen musical play list or favorite games. We will give your group and in depth discussion of cryotherapy and what you will experience. Call today and let’s set up your private party today! You can learn more about cryotherapy in our frequently asked questions page. *Catered with food and drinks at additional cost – determined on size. Inquire at Chill + Heal Spa, or call us at 318-798-4325 for more information.